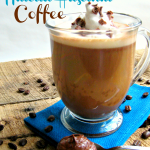 If you love Nutella, this homemade hot chocolate is for you! 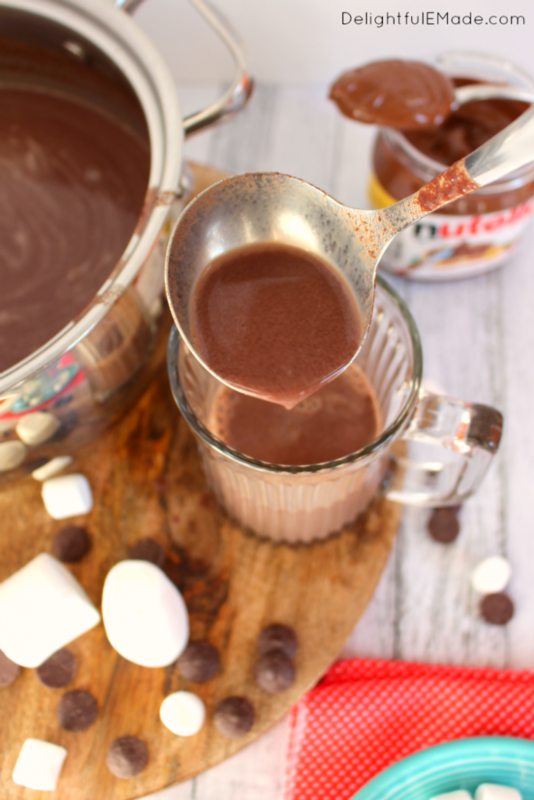 Made on the stove top in just minutes, this creamy, Nutella Hot Chocolate recipe is perfect for warming up when its cold outside! 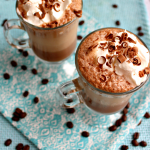 The perfect Nutella Hot Chocolate recipe! As the days get shorter, and the weather gets colder, the need for a delicious cup of hot chocolate becomes more and more necessary. 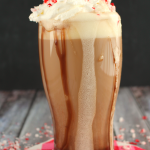 This Nutella Hot Chocolate recipe is perfect for watching your favorite Christmas movies, and enjoying with your favorite cookies. 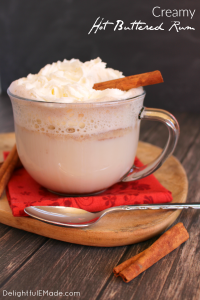 It’s also a great drink for when the snow is falling and you need to warm your body and soul! 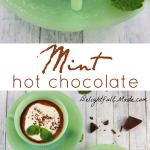 I personally LOVE to enjoy homemade hot chocolate. Homemade is WAY better than the powdered stuff you buy at the grocery store, and is pretty simple to make. All you need is a saucepan, and a few ingredients, and you’ll discover that homemade is the only way to go! Start by adding your chocolate chips, sugar, Nutella and salt into a medium sauce pan. Pour in your milk. We typically have 1% in the fridge, but making hot chocolate with whole milk will result in the most amazing, creamy delicious treat! Heat the mixture on medium-low heat and everything will begin to melt together, resulting in the most decadent, delicious hot chocolate. 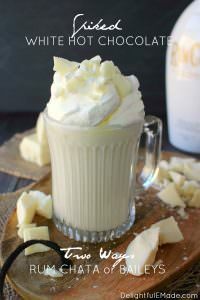 Stir in your vanilla for an amazing flavor that you’ll be sure to love! 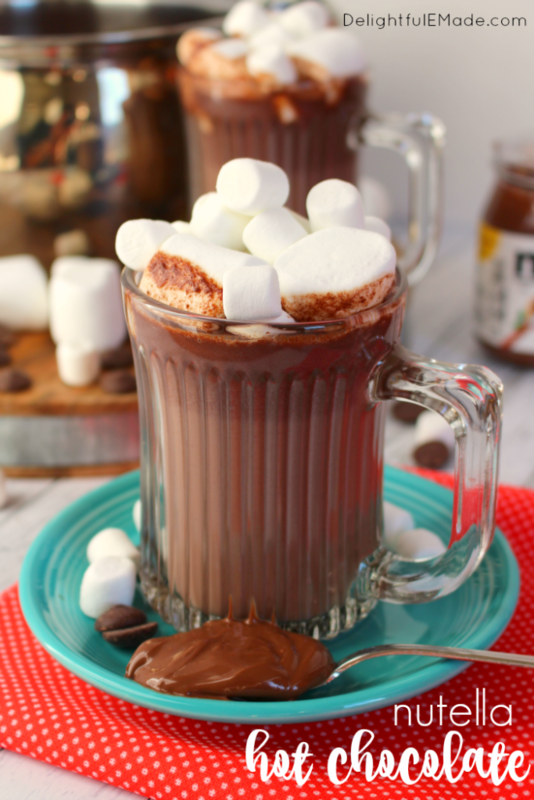 Topping your Nutella Hot Chocolate – marshmallow or whipped cream? 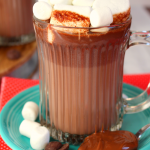 Ladle the hot chocolate into the mugs right away, and top with lots of marshmallows or whipped cream. This hot chocolate is the perfect treat to enjoy with Christmas cookies, and fantastic to help warm up after playing in the snow! 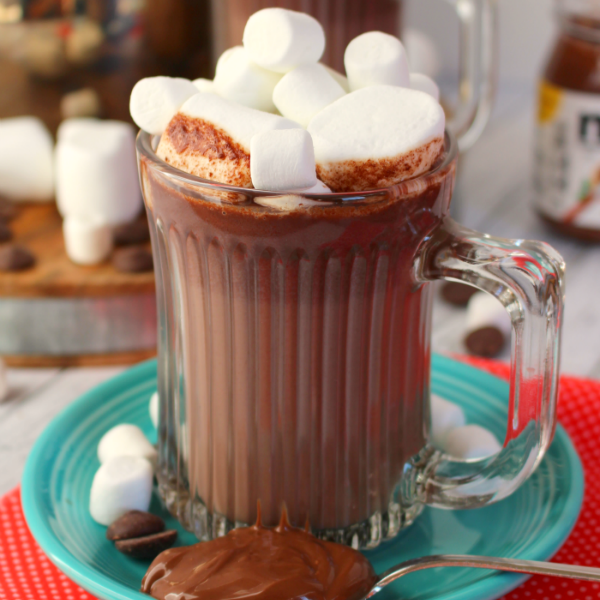 If you love Nutella, this homemade hot chocolate is for you! 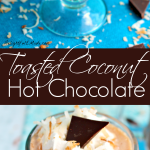 Made on the stove top in just minutes, this creamy, chocolaty hot drink is perfect for warming up when its cold outside! 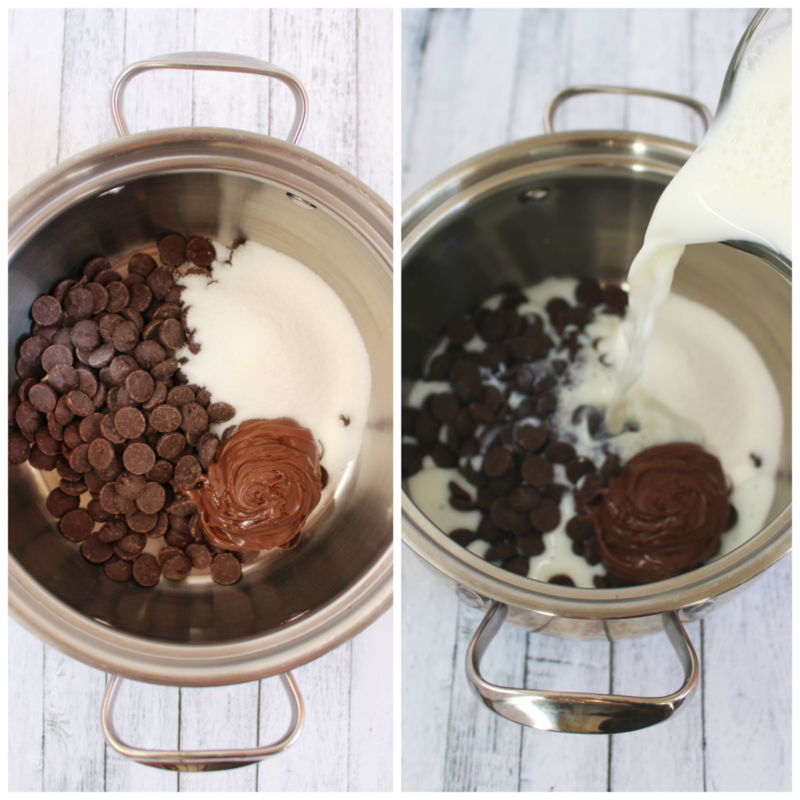 In a medium saucepan, add the milk, chocolate chips, sugar, Nutella and salt. Over medium heat, slowly whisk the ingredients together. Heat on medium heat for about 5-7 minutes, making sure not to boil. Once the liquid comes to a low simmer, remove from heat. Stir in the vanilla. 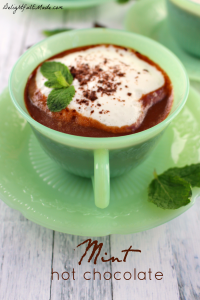 While still hot, ladle into mugs, and top with your preference of marshmallows or whipped cream. My kids are going to love this, they love anything Nutella. Thanks for sharing on A Stroll Thru Life. I have one son who's over the moon about Nutella so this is perfect for winter. I pinned it for future reference too! Ahhhh this looks awesome! Nutella is my fave and hot chocolate is one of my biggest cravings! Oh! I am making this for my son when we get the storm promised next week. Thanks for sharing on the Creative K. Kids Tasty Tuesdays Linky Party. We hope you will join us next week. I would not say no to a mug or two of this!! I love that I usually have all these things on hand, too. Thanks for bringing this by to our Throwback Thursday Link Party - I'll be pinning this to our board, too, and Happy New Year! Another delicious recipe Erin! 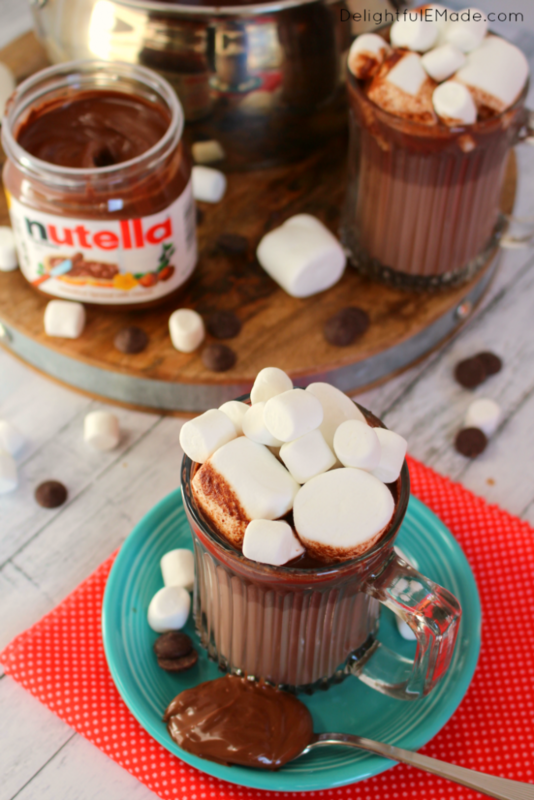 You combine two of my favorite things- Nutella and hot cocoa. I'm glad you linked up to the Handmade Hangout last week- I'll be featuring you today on my blog when the new linky goes live at 6pm ET. I hope you'll stop by and link up again! Hello to every body, it's my first visit of this website; this weblog carries remarkable and genuinely good information in favor of readers. 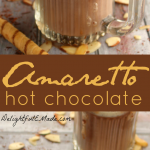 We don't have any snow forecasted but I have to make this hot chocolate!!! We are making this very soon! What a wonderful idea and I can imagine it must taste so good! I love nutella - and now in hot chocolate - Yum! Thanks for sharing on the What's for Dinner link up!